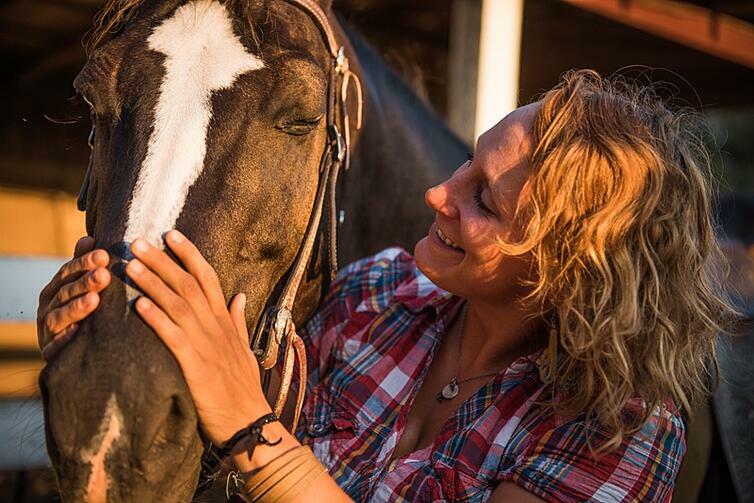 Jaime Brooks, our Equine Trail Guide and Small Ruminants Manager, will take you on an hour-long adventure around the farm, riding one of our two Quarter Horses, Sonny or Joe. Even though this is a walking trail ride, as opposed to trotting and cantering, we provide you with safety helmets at our General Store when you register and sign a waiver. 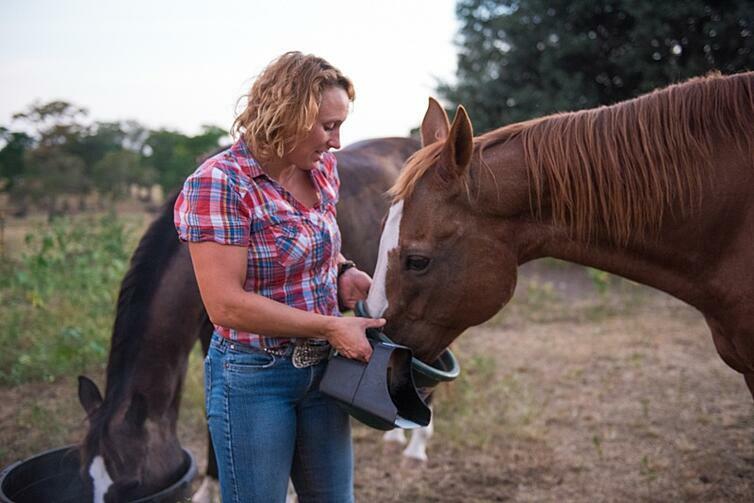 Jaime has worked with horses and livestock her entire life. Her love and enthusiasm for animals is contagious. The off beat journey takes you through pastures where you may see goats, lambs, sheep, cows, or chickens. Because White Oak Pastures is a zero-waste facility, if the wind is blowing in the right direction, you may want to ride past our compost pile that is “brewing” for use as fertilizer in the fields. Jaime rides Gabe as her lead horse. 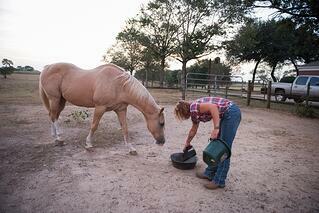 One of our two Quarter horses for riding. 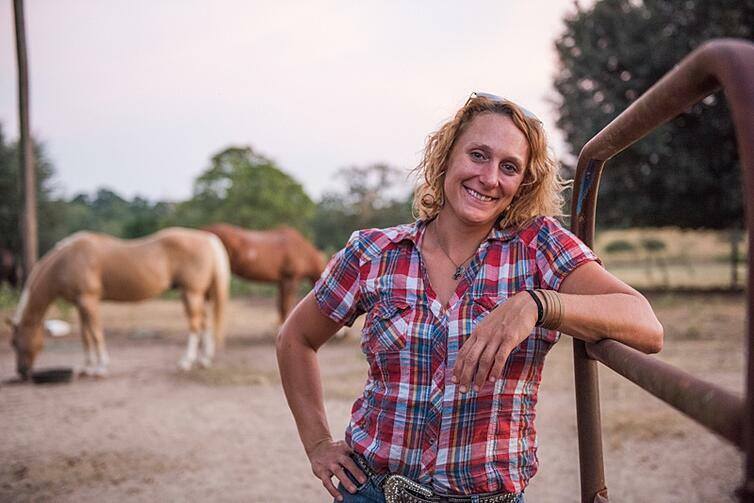 Jaime can answer any questions and provide you with interesting facts about White Oak Pastures, as well as make recommendations for other activities offered. 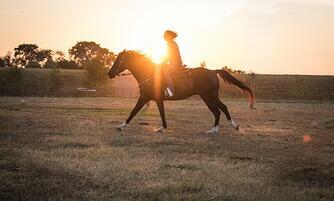 The trail rides can be scheduled from three to seven days in advance and cost $30.00 per hour, per horse. The rides typically start at 7:00 a.m. and late in the evening, around 6:30 p.m. to avoid the south Georgia heat. You can make reservations for a Trail Ride by calling The General Store at White Oak Pastures in Bluffton, GA at 1-229-641-2081. Happy Trails To You! 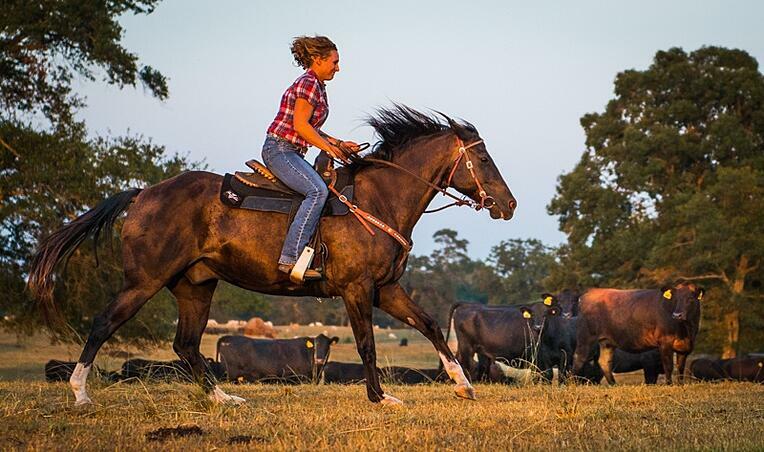 From everyone on the farm - Happy Trails To You!